Dale End Farm Self-cateringDale End Farm is a spacious and stylishly furnished farmhouse on the outskirts of Grasmere Village. 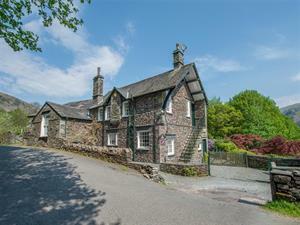 A pleasant mix of original features and contemporary comforts it has superb views of Grasmere Lake and Heron Pike and can sleep up 11 people. It may be booked with GL002 or GL007 if more accommodation is required. Dale End Farm offers weekly bookings starting on Saturday. Linen included, bedding and towels included. Pets £5 extra per week.